This peak is #34 on the Height List for Alaska . 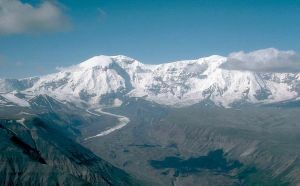 This peak is #68 in Prominence List for Alaska .Located W of Mount Wrangell. Jarvis is the youngest volcano in the eastern Wrangell volcanic field and was active approximately 1 to 2 million years ago.